How long is the term of a standard buyer rebate agreement in NYC? Is there any exclusivity required? When will I get paid my split of the commission? Do I have to work exclusively with someone if I sign a buyer rebate agreement? No. Just because you sign a buyer rebate agreement does not mean our affiliate brokers will require you to work exclusively with them. The buyer rebate agreement simply formalizes what was discussed between you and our affiliate broker and is not meant to impose any requirements on you. Due to the competitive dynamics in New York City where there are 50,000 licensed real estate agents, buyers do not need to ever sign an exclusivity agreement with a buyer’s agent. The help of a buyer’s agent is free to begin with as it’s the seller who always pays both sides of the commission. If a buyer chooses to be unrepresented, then he or she is merely throwing away free representation, the cost of which is built into the sales price! Therefore, don’t ever let a listing agent push you to be unrepresented, there is zero benefit to you but a windfall to the listing agent! What listings are eligible under my buyer rebate agreement? Any property exclusively listed by a brokerage different from that of your buyer’s agent is eligible for a buyer commission rebate. Your buyer brokerage’s own listings are not eligible for a buyer rebate because they represent the seller exclusively and dual agency is often not allowed by the seller. Simply put, any listing in New York is eligible for a rebate as long as it’s not one of your agent’s firm’s own listings. 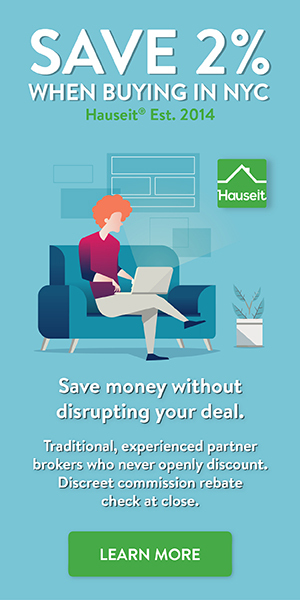 Because buyer rebates are not permitted on our affiliate brokers’ own listings, it is easy to understand why you cannot simply get a discount from the listing agent by being unrepresented. There are too many ethical concerns to begin with for a listing agent to encourage you to be unrepresented with a commission rebate. That would violate the listing agent’s fiduciary duty to the seller. Furthermore, asking for a commission rebate from a listing agent is taking pay direct from the listing agent. He or she would much rather engage another buyer not asking for something unusual like this. [Brokerage Name] with a mailing address of [Brokerage Address] (hereinafter “Buyer’s Agent”), and ________________________________ (hereinafter “Buyer”). a. As a condition of representing Buyer on the purchase of residential property in New York City, Buyer’s Agent agrees to provide Buyer with a buyer’s agent commission rebate in the amount of 33% of the brokerage commission paid to the Buyer’s Agent in conjunction with Buyer’s purchase of a property. b. 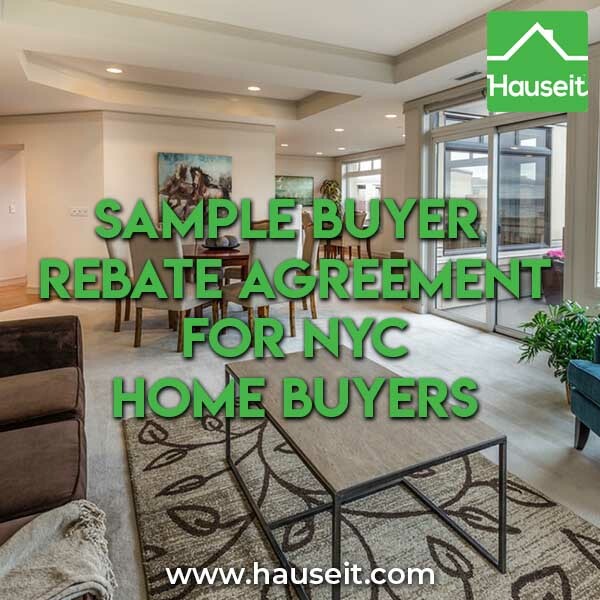 The rebate amount will be based off of the commission amount actually paid to the Buyer’s Agent in conjunction with the representation of Buyer. c. Buyer will receive a regular check for the rebate amount on the day of closing in person or within 10 business days by mail. Buyer agrees not to cash this check until the full commission amount paid to the Buyer’s Agent clears its bank (usually 2-5 business days). d. Buyer will be notified by Buyer’s Agent at the time the Buyer will be able to cash the rebate check. a. The agreement will remain in effect unless cancelled by either party with written notice. a. Buyer acknowledges that Buyer’s Agent is not qualified to and will not provide Buyer with advice on legal matters, tax and accounting matters in regards to the rebate offered herein. EXECUTED by the parties the day and year first above written.